A wrongful death occurs when a decedent is killed due to the negligence (or other bad act) of a defendant. The survivor, living dependent or beneficiary is allowed to recover monetary damages in certain situations. The claim is brought in a civil action, usually by a spouse, child, parent, or other close relative. If you have lost a loved one as the result of a personal injury accident, no amount of money can replace your loss, or properly compensate you, but you need an experienced wrongful death attorney to represent you. This is an extremely emotional and stressful time, and only a successful wrongful death attorney with expertise in this very specialized area of law should represent you, who will also give you personal attention, and be sensitive to your needs. The Law Offices of David F. Makkabi, A.P.C. specializes in representing the families of Wrongful Death Victims throughout the State of California. We have the reputation as a premier personal injury law firm with a proven track record with successful results. David F. Makkabi has earned an excellent reputation amongst his clients for unrivaled personal attention and care as well as in the legal community amongst judges, and opposing attorneys. He has also gained the respect of the insurance carriers, thus benefiting his clients with higher settlements for their cases. We take pride in the reputation we have built throughout the years. When other attorneys need help, they send their clients to us. They know that we are willing to take matters beyond the realm of paperwork and into the courtroom. They know that we are willing to work hard to get results. We are equipped with state-of-the-art technology to ensure that our cases are well-organized, our presentations are powerful and effective, and our messages impact opposing attorneys, insurance adjusters, judges, and jurors. 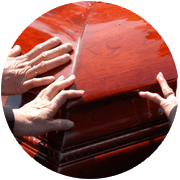 As your wrongful death attorney, we will follow every lead and use all resources available to prove what happened. We do not charge any fees or costs unless and until we win your case. Our fees are based on a reasonable percentage of the amount we obtain for you. We never settle your wrongful death case without your authorization. Compensation for your loss of companionship, love, comfort, care, guidance, assistance, protection, and affection. The amount of damages wrongful death attorneys can obtain for you depends on many factors such as the age and health of the deceased and heirs, the life expectancy of the deceased and heirs, the financial loss, the emotional loss, who the heirs are, the insurance coverage, and whether or not surviving family members were dependent upon the deceased for income for support. Also to be considered in computing damages is the loss of companionship, loss of love and affection of the surviving spouse, children, parents and other surviving family members. You are also entitled to all out of pocket expenses incurred, such as funeral expenses. Wrongful Deaths are the result of the negligence, carelessness, or reckless act of another person or corporation. Some common causes of wrongful death are:car accidents, motorcycle accidents, truck accidents, bus accidents, drunk drivers, train accidents, pedestrian accidents, plane crashes, construction accidents, fires, and defective products (product liability). The wrongful death attorneys at the Law Offices of David F. Makkabi will do everything possible to settle your wrongful death case out of court. Based upon our experience, reputation, success, and diligent preparation of each case, most of our cases are settled without going to trial. If you have lost a loved one who was the victim of a wrongful death, the Los Angeles wrongful death attorneys at the Law Offices of David F. Makkabi can help you. Please call us now at 310-887-8000 for an immediate, no obligation, free home, phone, email, or office consultation.